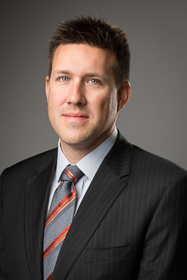 Sean M. Grayson is a partner at Roy O’Connor LLP. He practices all aspects of corporate/commercial, civil and class actions litigation. He has considerable experience advising clients in large and complex litigation matters, including commercial and class actions. Sean has diverse experience in matters involving general corporate and shareholder disputes, directors and officers duties and responsibilities and indemnities, securities litigation – OSC/IIROC, estate matters, mining disputes, negligence and contractual disputes, financial institutions, investment advisor disputes, employment disputes, matters before regulated health profession boards, executive compensation, administrative law and both plaintiff and defence class actions. Most recently Sean was named a Litigation Star (2019) by Benchmark Canada. Co-Author "Getting Ready for Bill 198- Civil Liability For Secondary Market Disclosure", for The Canadian Institute’s 6th Annual Forum on Litigating Class Actions, September 26, 2005, presented as well. Co-Author "The Early Disqualification of the Counsel Witness – Practical Considerations v. the Right to Counsel of Choice" (2005) XI, No. 2, Commercial Litigation 562 at 562. Contributor, M.J. Fecenko Biotechnology Law, Corporate Commercial Practice (Toronto; Butterworths 2002).